The study, published recently in PLOS Biology and involving an interdisciplinary group of 23 researchers, compared Antarctic biodiversity and its management with that of the rest of the world. The results show that, although the region is doing relatively well in some areas, such as invasive species management, it is lagging behind in others, such as protected area management and the regulation of bioprospecting, and other threats are looming. "Biodiversity in the Antarctic region has often fallen between the cracks - no pun intended, given the cracks in ice cover that are developing," says study co-author Peter Stoett, professor of political science in Concordia's Faculty of Arts and Science. For Stoett, who has done extensive research on invasive species policy and oceans governance, the study's results are "fairly grim." "Biodiversity is challenged in this region just like it is anywhere else, despite the relatively pristine nature of the landscape," he says. "More and more people are visiting Antarctica through tourism, and overfishing continues to be an issue. But the bigger threats stem from global trends: warmer oceans, melting ice cover and transnational pollution, for example. This should not overshadow some successes, but we need to be vigilant and aware of what is happening." For the study, Stoett and his co-authors met in Monaco and focused on 20 biodiversity targets - known as the Aichi Targets - set by the Convention on Biological Diversity (CBD) to help assess progress in halting global biodiversity loss. This study marks the first time the Aichi targets have been applied to Antarctica and the Southern Ocean, areas that together account for around 10 per cent of the planet's surface. This latest analysis by scientists ensures that future assessments made under the CBD's Strategic Plan for Biodiversity 2011-2020 will be truly global. "Overall, the biodiversity and conservation management outlook for Antarctica and the Southern Ocean is no different than that of the rest of the planet," says professor Steven Chown, the study's lead author and head of the School of Biological Sciences at Monash University, in Melbourne, Australia. In Stoett's view, it's important to go beyond the Antarctic Treaty System, which safeguards Antarctica for scientific research, to develop a governance structure for biodiversity in the region. "Antarctica doesn't fall under the CBD," Stoett explains. 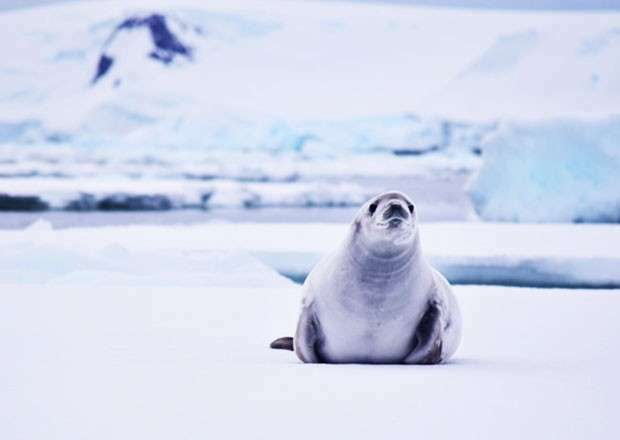 "Although there are arrangements among Antarctic Treaty countries to protect natural resources, we need a more concerted effort that includes things such as the effects of tourism and better monitoring of dedicated conservation areas. In general we need a more comprehensive science and policy research platform for Antarctic conservation, and we need to realize that contributions to climate change, marine debris, and ocean acidification are having serious impacts not just on photogemic penguins but all the surprisingly robust biodiversity in this region."